With the kazoo-wielding songstress Beebs as their fearless leader, BaHMM is taking audiences by surprise with their high-energy performances and unapologetically ridiculous media content. 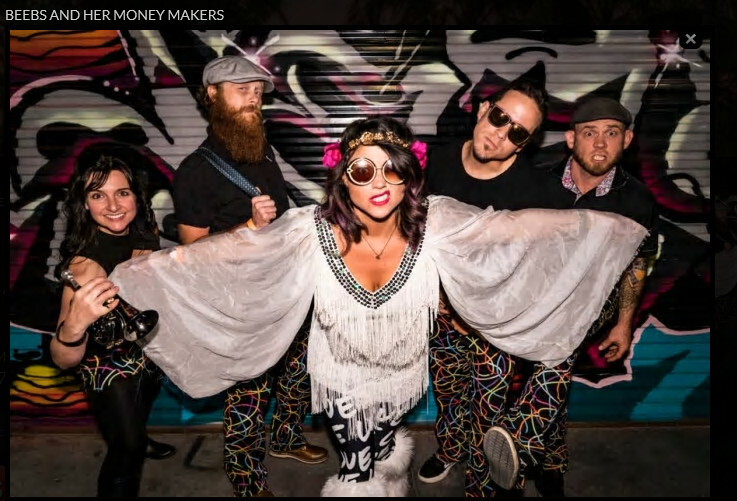 They are a refreshing blend of psychedelic ska, sassy funk and soul. BaHMM were discovered by legendary promoter Kevin Lyman and asked to join the Vans Warped Tour 2013. As they performed all 50+ days of the summer, Beebs and Her Money Makers were filmed for the 2nd Season of Warped Roadies on the FUSE Network. This summer, BaHMM made their triumph return to the Warped Tour 2014 on a bigger stage and riding on a much bigger wave. Since Warped, BaHMM has toured with Reel Big Fish, Goldfinger, Suburban Legends, Five Iron Frenzy, Beautiful Bodies and This Magnificent. Reel Big Fish’s Aaron Barrett also produced BaHMM’s EP in October, and produced their full length album this past April. BaHMM was also featured on an episode of Travel Channel’s RV Kings which goes into production on May 8th.